Lt. Colonel (U.S. Army, ret.) Jeffrey F. Addicott is a Professor of Law and the Director of the Center for Terrorism Law. 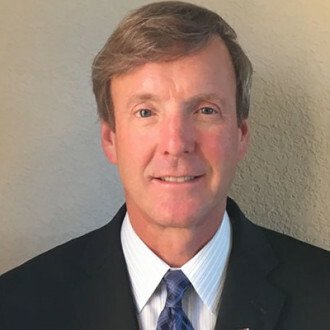 An active duty Army officer in the Judge Advocate General’s Corps for twenty years, Addicott spent a quarter of his career as the senior legal advisor to the United States Army’s Special Forces. As an internationally recognized authority on national security law, Addicott not only lectures and participates in professional and academic organizations both in the United States and abroad (more than 700 speeches), but he has also testified before Congress on a variety of legal issues. He has also been a regular contributor to national and international news media outlets to include FOX NEWS Channel, MSNBC, CNN, BBC, New York Times, Washington Post, Wall Street Journal, USA Today, (more than 4,000 media interviews). Addicott is a prolific author, publishing over 60 books, articles and monographs on a variety of legal topics. Among his many contributions to the field, Addicott pioneered the teaching of law of war and human rights courses to the militaries of numerous nascent democracies in Eastern Europe and Latin America. For these efforts he was awarded the Legion of Merit, named the “Army Judge Advocate of the Year,” and honored as a co-recipient of the American Bar Association’s Hodson Award. Addicott has served in senior legal positions in Germany, Korea, Panama, and throughout the United States. Addicott holds a Doctor of Juridical Science (S.J.D.) and Master of Laws (LL.M.) from the University of Virginia School of Law. He also received a Master of Laws (LL.M.) from the Army Judge Advocate General’s School, where he was the Deputy Director of the International and Operational Law Division, and a Juris Doctor (J.D.) from the University of Alabama School of Law. Apart from teaching a variety of courses at the law school, Addicott served as the Associate Dean for Administration at St. Mary’s University School of Law (2006-2007).